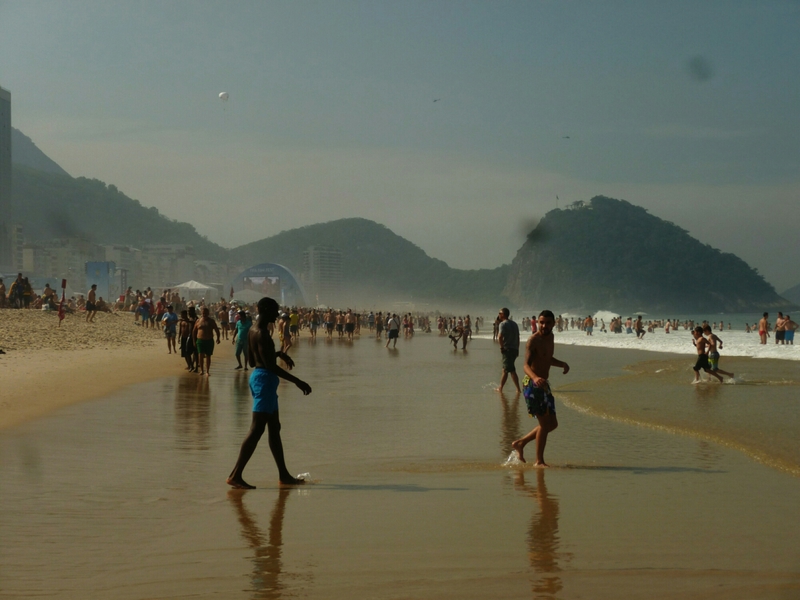 After an aborted attempt to see Christ the Redeemer, due to ticketing issues and there being a shorter day (Brazil were playing later), the day changed direction to a more relaxed focus. 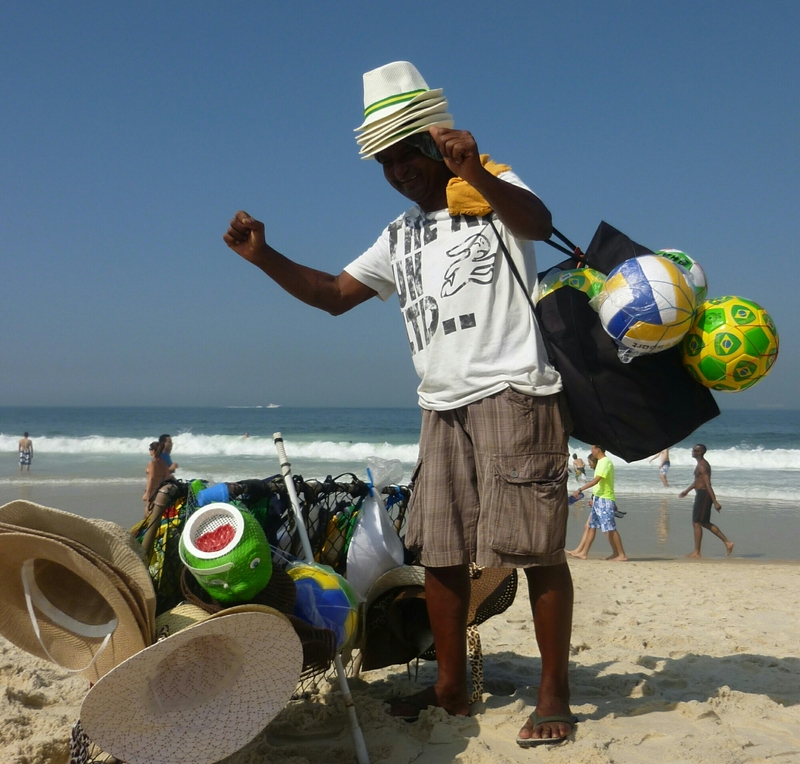 A trip to Copacabana beach was mooted and approved. 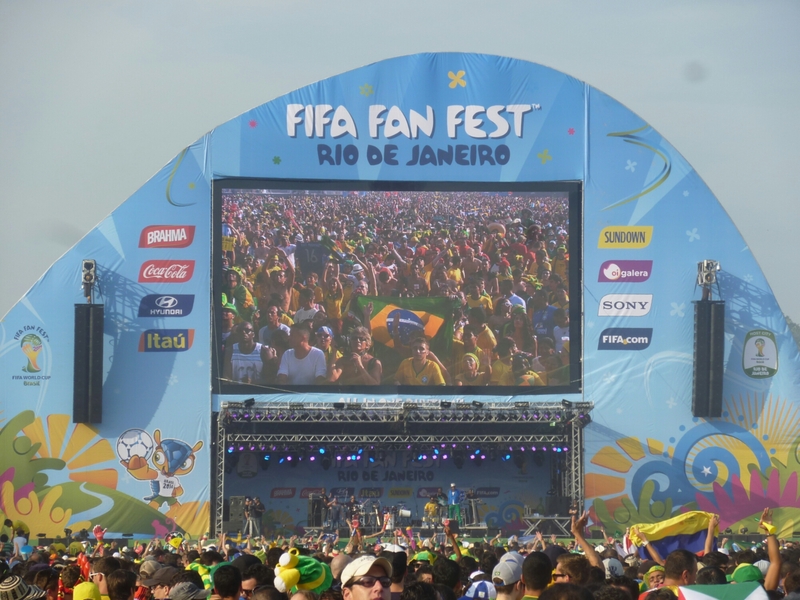 Partly for beach activities (a one in a life time opportunity albeit likely to put Cariocas off the beach for life) plus plans to hit the fan fest to see Brazil play Mexico and experience the Brazilian support for the home team. 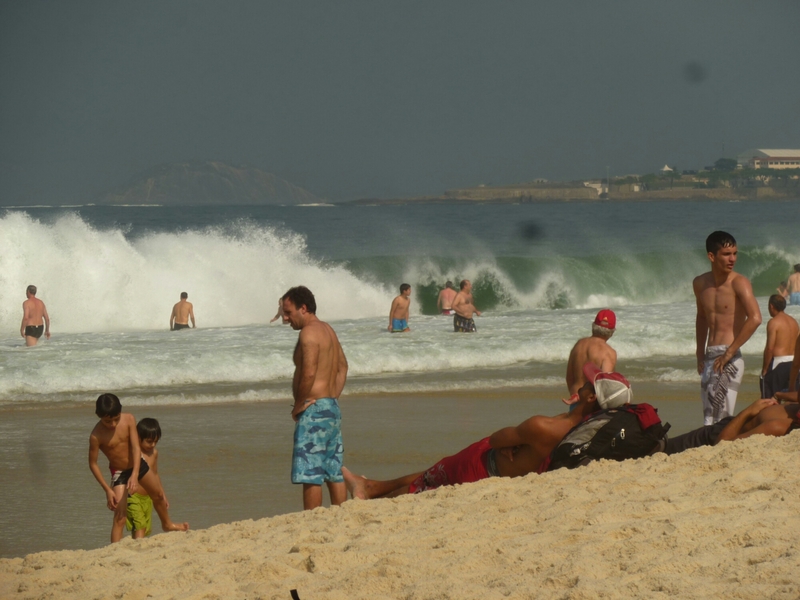 Surf was well and truly up as the rollers were pounding the beach along with a 29 degree sun… These Rio winters are pretty harsh. And the vendors were out in force. We were an easy mark for a football to kick around, less so the sun warmed prawns which are abundant but notorious for their ‘potential’ to disrupt your day. 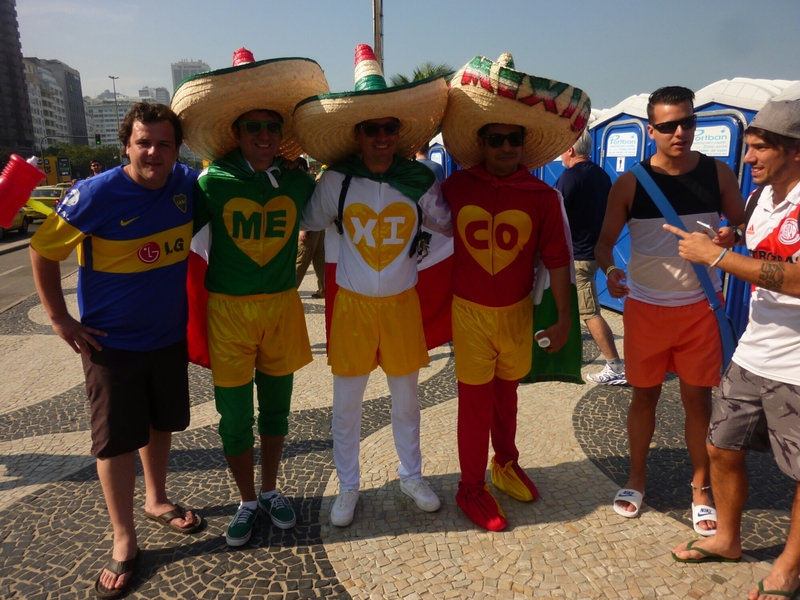 After fooling around in the water and being offered: balls, beer, towels, hats, prawns (!) 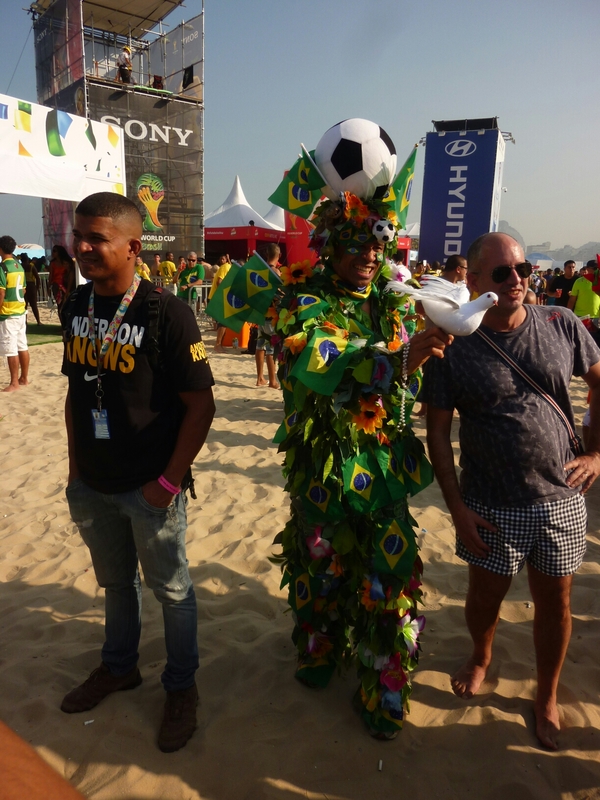 and all manner of other items we headed for the fan zone. Were an estimated 20,000 were gathered. Fans were in full regalia and the mood say good. Not a great game/result for the neutral but great fun to be around that energy. Cutting this a little short as we have an early start beckoning for another attempt at Corcovado.